Finance Ministry and Central Board of Excise and Customs have released a lot of information about GST. However, there is a lot of confusion about the Central GST, State GST, Union Territory GST rate being declared on the official site. It also fails to mention what type of services are included into the GST. So in order to reduce that confusion, many financial companies are coming out to discuss the GST through the means of Android App. Here are some of the apps where you can learn about the GST. Tally is known for their invoicing and book keeping software. And now they are expanding into the GST education. This app is designed to give you an idea on how GST works. There are no ads inside the app. You can access the information in a clean layout. They are also updating the information lot quicker inside the app. So you don't have to search google for minor changes that may happen inside the GST. You can learn the requirement for GST. How to get enrolled and how to process your temporary TIN number. And you can also learn about how it impacts your business. This app is not limited to the Android and iOS. If you're looking forward to the GSTN update then this download this app. It is available for free of cost on Google Play Store. GST Rates are contributing to a lot of confusion lately. Many business owners are not aware of which rates are applicable for their business. And in such case, you can see that it adds up to more confusion on the invoicing. In such case, you can learn about GST rates for your business and services from this app. Using this app you can price your products correctly. This can also help you reduce the prices on the updated GST list. It shows you various state specific and central specific GST percentage. You can also get the updates on the GST percentage on specific products. The app is released free of cost on Google Play. Most of the GST apps are released in English. For those business owners who can't understand Hindi, GST Apps in English may not be the right option. In such case for them, you can download the app in Hindi. It has detailed information about GSTN in Hindi. It also updates on regular basis about changes and the process updates for the GSTN. It also shows the things that will be cheaper in future after GST implementation on the state level. It explains how the GST works in very easy to understand way. There is no complicated jargon like they use in English apps. Karvy is known for their services into the mutual funds and other financial services. They hold a large portion of services for managing the GST related data too. They have created this app to educate the people about the GST. In such case, you can find that it provides the information about what type of products are applicable. And what are some of the things that you can do with taxation for your service? All of this information is explained in very simple words. It also explains the GST update process. The interface is clean and there seem to be no app advertisements listed in there as well. Deloitte is known for their knowledge based content which is usually enterprise-centric. 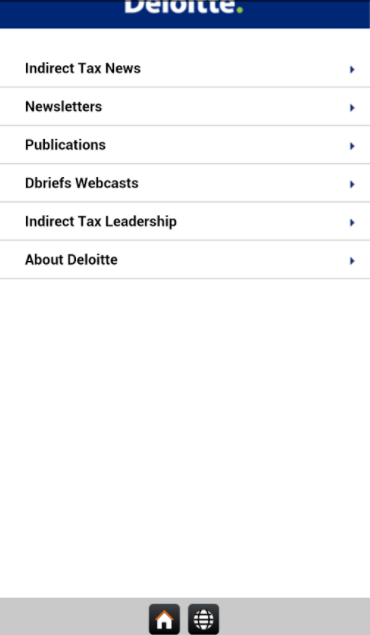 However this time Deloitte team has made the app on GST. 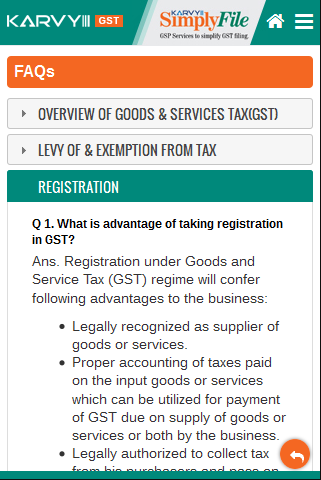 Their focus is mostly small business and enterprise who need to know about GSTIN and GST related clauses. 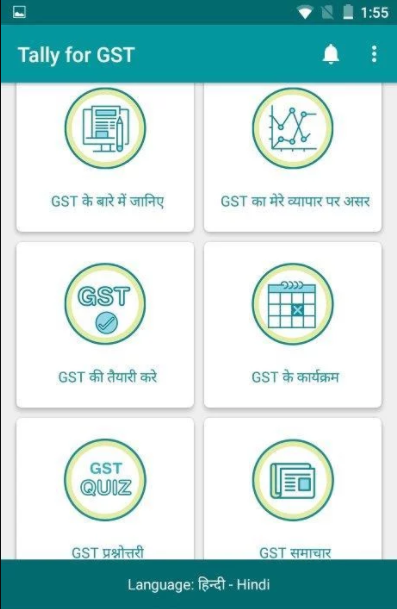 In this app, they have managed to cover most of the aspect which a person needs to know about GST. You can see that this app is very easy to navigate. There are a lot of things that are not fixed with App navigation and some other usability features. So I am hoping that in next few updates you'd find that Deloitte has come up with some improvements. Currently, the app is released on Google Play for free of cost. There are no ads inside the app, so you don't have to worry about intrusive ads to block. ClearTax is a cloud invoice and tax filing application. They have created Android app that provides the guidance on GST. The app is full of informative article, news, and videos. Most of those resources are fetched from their own site. So you may find that information on their website too. So for someone who wishes to read on the web, I don't think app added anything different. However, there is one calculator feature which is in works. They are adding the GST calculations for some scenarios through this option. The app does not contain ads and has no pop-ups and sales pitch. You can check out the App free of cost on Google Play Store. There are lot of things about GST which are not yet clear. And next update of the GST council is going to revise more things within the GST rules. So the apps will continue to get more information on the GST rules and implementation. The above apps can be good enough for you to navigate the information related to the GST. Depending on your requirement one of the above-mentioned apps can give you the required information.